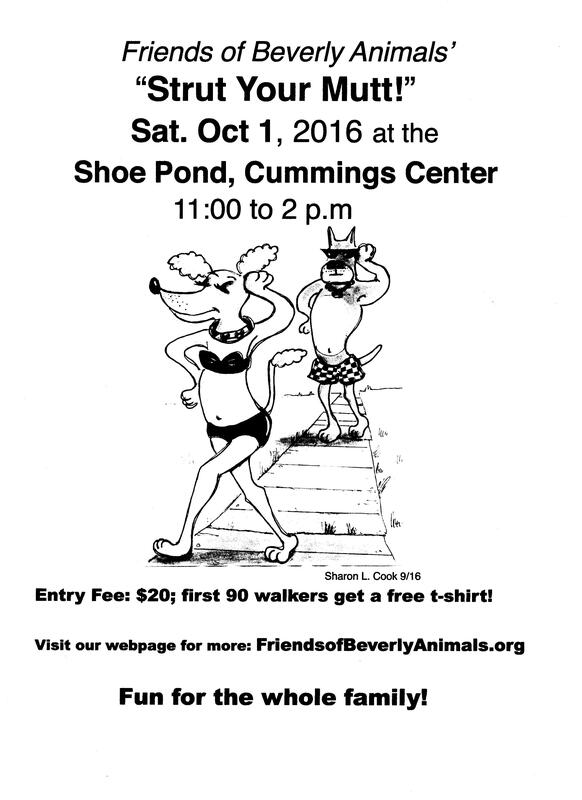 Dog walk “Strut Your Mutt,” will be held on Saturday, October 1, rain or shine, from 11-2 p.m. at the Shoe Pond, Cummings Center, Beverly. 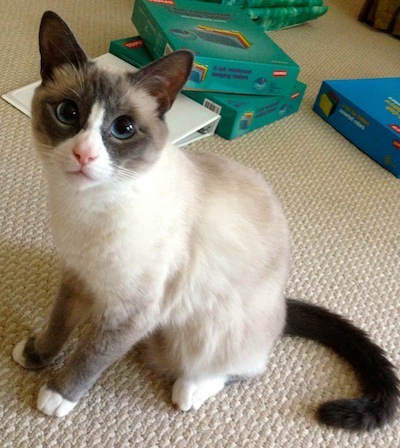 If you have questions about this event, please email heidiroberts@comcast.net or call 978-927-4157. To see a full-size version of the Strut Your Mutt 2016 poster, click the image above. To register for the dog walk, send a check for the $20 entry fee to FOBA, PO Box 3378, Beverly, MA 01915, or pay at the registration table. If you would like to register for Strut Your Mutt online, simply click the Donate button below, then for the donation amount enter $20 as the entry fee, and under Special Instructions type “Strut Your Mutt.” Then, check in at the registration table at the dog walk.